Propionic acid (from the Greek words protos, meaning "first", and pion, meaning "fat"; also known as propanoic acid) is a naturally occurring carboxylic acid with chemical formula CH3CH2COOH. It is a clear liquid with a pungent and unpleasant smell somewhat resembling body odor. The anion CH3CH2COO− as well as the salts and esters of propionic acid are known as propionates (or propanoates). Propionic acid was first described in 1844 by Johann Gottlieb, who found it among the degradation products of sugar. Over the next few years, other chemists produced propionic acid in various other ways, none of them realizing they were producing the same substance. In 1847, the French chemist Jean-Baptiste Dumas established all the acids to be the same compound, which he called propionic acid, from the Greek words πρῶτος (prōtos), meaning first, and πίων (piōn), meaning fat, because it is the smallest H(CH2)nCOOH acid that exhibits the properties of the other fatty acids, such as producing an oily layer when salted out of water and having a soapy potassium salt. Propionic acid has physical properties intermediate between those of the smaller carboxylic acids, formic and acetic acids, and the larger fatty acids. It is miscible with water, but can be removed from water by adding salt. As with acetic and formic acids, it consists of hydrogen bonded pairs of molecules as both the liquid and the vapor. Propionic acid displays the general properties of carboxylic acids: It can form amide, ester, anhydride, and chloride derivatives. It can undergo alpha-halogenation with bromine in the presence of PBr3 as catalyst (the HVZ reaction) to form CH3CHBrCOOH. CH3CH2CHO + 1⁄2 O2 → CH3CH2COOH. Large amounts of propionic acid were once produced as a byproduct of acetic acid manufacture. At the current time, the world's largest producer of propionic acid is BASF, with approximately 150 kt/a production capacity. Propionic acid is produced biologically as its coenzyme A ester, propionyl-CoA, from the metabolic breakdown of fatty acids containing odd numbers of carbon atoms, and also from the breakdown of some amino acids. Bacteria of the genus Propionibacterium produce propionic acid as the end-product of their anaerobic metabolism. This class of bacteria is commonly found in the stomachs of ruminants and the sweat glands of humans, and their activity is partially responsible for the odor of both Swiss cheese and sweat. It is also biosynthesized in the large intestine of humans by bacterial fermentation of dietary fibre. Propionic acid inhibits the growth of mold and some bacteria at the levels between 0.1 and 1% by weight. As a result, most propionic acid produced is consumed as a preservative for both animal feed and food for human consumption. For animal feed, it is used either directly or as its ammonium salt. The antibiotic Monensin is added to cattle feed to favor propionibacteria over acetic acid producers in the rumen; this produces less carbon dioxide and feed conversion is better. This application accounts for about half of the world production of propionic acid. Another major application is as a preservative in baked goods, which use the sodium and calcium salts. As a food additive, it is approved for use in the EU, USA and Australia and New Zealand. It is listed by its INS number (280) or E number E280. Propionic acid is also useful as an intermediate in the production of other chemicals, especially polymers. Cellulose-acetate-propionate is a useful thermoplastic. Vinyl propionate is also used. In more specialized applications, it is also used to make pesticides and pharmaceuticals. The esters of propionic acid have fruit-like odors and are sometimes used as solvents or artificial flavorings. In biogas plants, propionic acid is a common intermediate product, which is formed by fermenting propionic acid bacteria. Its degradation in anaerobic environments (e.g. biogas plants) requires the activity of complex microbial communities. The metabolism of propionic acid begins with its conversion to propionyl coenzyme A (propionyl-CoA), the usual first step in the metabolism of carboxylic acids. Since propionic acid has three carbons, propionyl-CoA cannot directly enter either beta oxidation or the citric acid cycles. In most vertebrates, propionyl-CoA is carboxylated to D-methylmalonyl-CoA, which is isomerised to L-methylmalonyl-CoA. A vitamin B12-dependent enzyme catalyzes rearrangement of L-methylmalonyl-CoA to succinyl-CoA, which is an intermediate of the citric acid cycle and can be readily incorporated there. In propionic acidemia, a rare inherited genetic disorder, propionate acts as a metabolic toxin in liver cells by accumulating in mitochondria as propionyl-CoA and its derivative, methylcitrate, two tricarboxylic acid cycle inhibitors. Propanoate is metabolized oxidatively by glia, which suggests astrocytic vulnerability in propionic acidemia when intramitochondrial propionyl-CoA may accumulate. Propionic acidemia may alter both neuronal and glial gene expression by affecting histone acetylation. When propionic acid is infused directly into rodents' brains, it produces reversible behavior (e.g., hyperactivity, dystonia, social impairment, perseveration) and brain changes (e.g., innate neuroinflammation, glutathione depletion) that may be used as a means to model autism in rats. It also, being a three-carbon molecule, feeds into hepatic gluconeogenesis (that is, the creation of glucose molecules from simpler molecules in the liver). The human skin is host of several species of bacteria known as Propionibacteria, which are named after their ability to produce propionic acid. The most notable one is the Propionibacterium acnes, which lives mainly in the sebaceous glands of the skin and is one of the principal causes of acne. 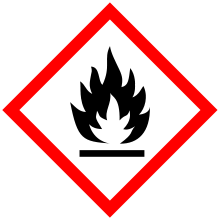 1 2 3 4 5 "NIOSH Pocket Guide to Chemical Hazards #0529". National Institute for Occupational Safety and Health (NIOSH). 1 2 3 4 5 Lagowski, J.J., ed. (2012). The Chemistry of Nonaqueous Solvents. III. Elsevier. p. 362. ISBN 0323151035. 1 2 Lide, David R., ed. (2009). CRC Handbook of Chemistry and Physics (90th ed.). Boca Raton, Florida: CRC Press. ISBN 978-1-4200-9084-0. ↑ Seidell, Atherton; Linke, William F. (1919). Solubilities of Inorganic and Organic Compounds (2nd ed.). D. Van Nostrand Company. p. 569. 1 2 3 4 5 Sigma-Aldrich Co., Propionic acid. Retrieved on 2014-06-13. 1 2 3 Strieter, F. J.; Templeton, D. H.; Scheuerman, R. F.; Sass, R. L. (1962). "The crystal structure of propionic acid". Acta Crystallographica. 15 (12): 1233–1239. doi:10.1107/S0365110X62003278. ↑ den Besten, G; van Eunen, K; Groen, AK; Venema, K; Reijngoud, DJ; Bakker, BM (September 2013). "The role of short-chain fatty acids in the interplay between diet, gut microbiota, and host energy metabolism.". Journal of Lipid Research. 54 (9): 2325–40. doi:10.1194/jlr.R036012. PMC 3735932 . PMID 23821742. ↑ "Current EU approved additives and their E Numbers". UK Food Standards Agency. Retrieved 2011-10-27. ↑ "Listing of Food Additives Status Part II". US Food and Drug Administration. Retrieved 2011-10-27. 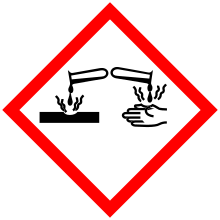 ↑ "Standard 1.2.4 – Labelling of ingredients". Australia New Zealand Food Standards Code. Comlaw.au. Retrieved 2011-10-27. 1 2 D. F. MacFabe; D. P. Cain; K. Rodriguez-Capote; A. E. Franklin; J. E. Hoffman; F. Boon; A. R. Taylor; M. Kavaliers; K.-P. Ossenkopp (2007). "Neurobiological effects of intraventricular propionic acid in rats: Possible role of short-chain fatty acids on the pathogenesis and characteristics of autism spectrum disorders". Behavioral Brain Research. 176 (1): 149–169. doi:10.1016/j.bbr.2006.07.025. ↑ N. H. T. Nguyen; C. Morland; S. Villa Gonzalez; F. Rise; J. Storm-Mathisen; V. Gundersen; B. Hassel (2007). "Propionate increases neuronal histone acetylation, but is metabolized oxidatively by glia. Relevance for propionic acidemia". Journal of Neurochemistry. 101 (3): 806–814. doi:10.1111/j.1471-4159.2006.04397.x. PMID 17286595. ↑ Aschenbach, JR; Kristensen, NB; Donkin, SS; Hammon, HM; Penner, GB (December 2010). "Gluconeogenesis in dairy cows: the secret of making sweet milk from sour dough.". IUBMB Life. 62 (12): 869–77. doi:10.1002/iub.400. PMID 21171012. Wikimedia Commons has media related to Propionic acid.